Edwin James Willard, Jr., was born September 18, 1941, at Peoria, Illinois, to Edwin James Willard and Marjorie June DuBois Willard. He departed this life on April 15, 2019, at the age of seventy-seven years. On October 5, 1992, he was married at Memphis, Tennessee, to Mia Harper. Jr. moved to West Plains, Missouri as a young child where he graduated with the Class of 1959. He worked at local car dealerships before going into business with his father at Willard Brothers where later he became a partner. He played baseball and softball as a young man and continued to enjoy the sport as an avid fan of the St. Louis Cardinals. Jr. had a love of the outdoors. He enjoyed bird hunting with his dad. 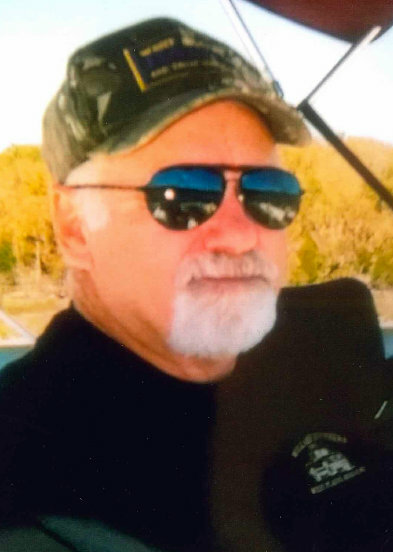 He was an avid fisherman and a longtime member of the Bass Club. He also enjoyed a good game of golf. In retirement, Jr. and Mia became snowbirds, enjoying the Florida sun and walks on the beach hunting for shells. Those that knew Jr., know he was a compassionate and giving man with a large heart who loved and was loved. He is survived by his wife, Mia Willard, of the family home; his children, Jason Willard and wife, Regina, West Plains, Tracy Crawford and husband, Randy, Georgetown, Texas, Dan Sisco and wife, Shelley, Mountain Grove, Missouri and Keri Evans and husband, Steve, West Plains; five grandchildren, Jay, Carley, Ciara, Makenzie and Jace; two great-grandchildren, Kinleigh and Noah; his brother, Dennis Willard and wife, Sue; his sister, Julia Sheldon and husband, Skyler; and several nieces, nephews, cousins, in-laws and lifelong friends that loved him dearly. His parents and his beloved grandson, Jaxson Lake Willard, preceded him in death. Mr. Willard will lie in state from 11:00 a.m., until 4:00 p.m., Friday, April 19, 2019, at Langston Street Chapel of Robertson-Drago Funeral Home. The family will receive their friends from 4:00 until 5:00 p.m., Friday, followed by a Celebration of the life of Jr. at 5:00 p.m. Friends are invited to share memories of Jr. below, which will be read during the Celebration. Memorial contributions may be made to St. Jude’s Children’s Research Hospital and may be left at Robertson-Drago Funeral Home. I was sorry to hear of the passing of Jr. Willard. He was a great guy and friend. We played a lot of baseball together when we were young. He always like to throw his knuckle-curve. A good pitch and he threw it well. He was a good ballplayer. He also helped my when my mother was ill by helping us sell her vehicle. I will always appreciate his kindness. To all the family, you are in my prayers. God bless you all. Wonderful memories of Junior playing baseball with Jason, Tracy, Jill, and I on the big yard between our houses on Monks Street..he was just being a BIG KID with us! Our deepest sympathy to Junior’s children and family. Each one of you will be in our daily prayers and thoughts. May God comfort, encourage, and support each one of you thru this difficult time. May God bless each one of you. So sorry to hear of Jr.’s passing. I started thinking back to my early childhood and living next door to you all. I vaguely remember your dad helping my parents carry our swingset up the middle of the road from 419 Monks to 508 Monks. I remember he was an avid fisherman and loved the St. Louis Cardinals. My thoughts and prayers are with Jr.’s entire family. We are saddened to learn of Junior passing. We are keeping all of the family in our thoughts and prayers. reunions, holiday get togethers, or any other occasion. Junior has always been kind, thoughtful, and giving. He was non judgmental and had a beautiful spirit. I will miss you Junior, and feel joy when I think about you. Many prayers and hugs to all. My thoughts and prayers for Jr’s family. Some of my best memories of my years in West Plains are of the Willards- Ed, Vibert, Jr and Denny. Quail hunting and hanging out and visiting at the car lot was memorable. Jr and I had several good hunting and fishing experiences. The last time I saw Jr at the 58/59 reunion, I reminded him of a quail hunt in Rover where we killed 5 birds on the covey rise and of a fishing trip where he had a LARGE bass to the boat and I missed it trying to net it and the fish came off. I don’t recall him being happy about that. Jr was a good friend and he will be missed. Farewell old friend. May God comfort all his family and friends. Sorry to hear the news of Jr.’s passing. Our thoughts and prayers are with all of his family at these sad times. May God heal the suffering hearts.